Kids to grown-ups everyone loves sweets! But for many, they are off limits for a variety of reasons, health, diet and the list goes on. Afraid not, this recipe will satisfy your craving for sweets at the same time make you forget about health & diet concerns. 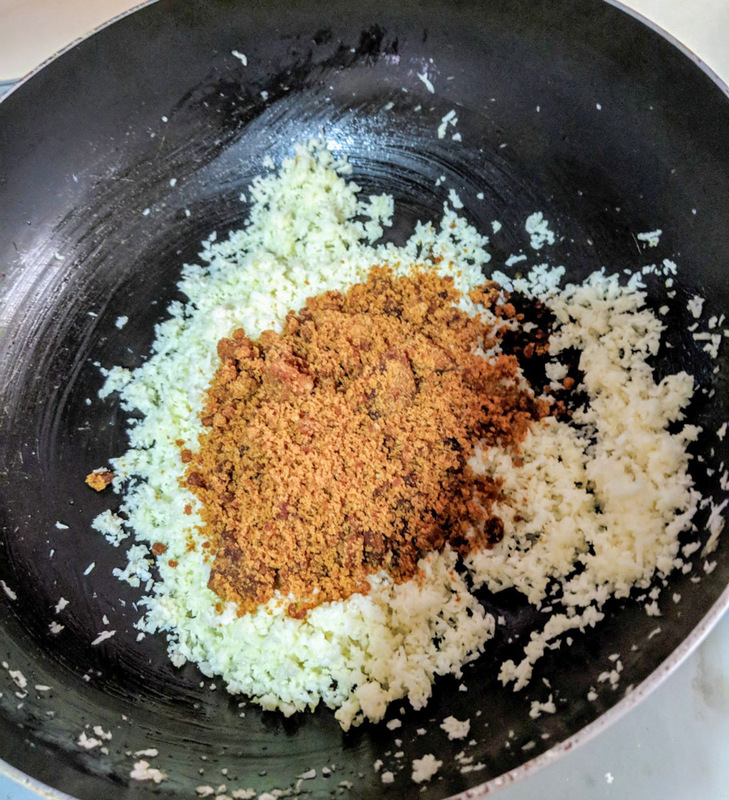 Add 1 tbsp of ghee in a non-stick pan. Add cashew, almonds, raisins and fry it. Keep this aside. 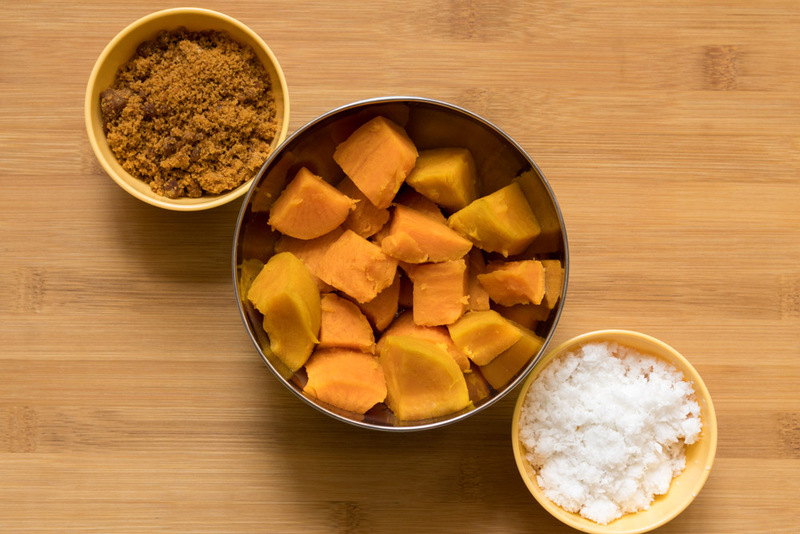 Mash the boiled and peeled sweet potatoes. When final mixture is warm, make 20 rolls and garnish with your favorite nuts. Keep it refrigerated for 15 mins then serve. You can also use Jaggary or Sugar instead of brown sugar. This laddu will stay good for a week when you refrigerate it.